Cod is a white, mild-flavoured fish that is available throughout the year, and it’s a great substitute for meat because it is high in protein. It is versatile, which makes it easy to prepare all kinds of dishes. Cod belongs to the same family as haddock, and needs the cold, deep Arctic waters to grow, reproduce and survive. Cod is best eaten when fresh, but preservation techniques such as salting, smoking and drying were used—and are still used—to preserve the cod, allowing it to be easily transported and stored, and making it one of the most commercially important fishes during the Middle Ages in Europe. Salted and dried cod is still very popular today in many countries including Norway, Portugal and Brazil. Fish is a good protein-alternative to meat, since it’s a complete protein, and cod (which is considered to be a “white fish”) is especially low in fat and low in calories. 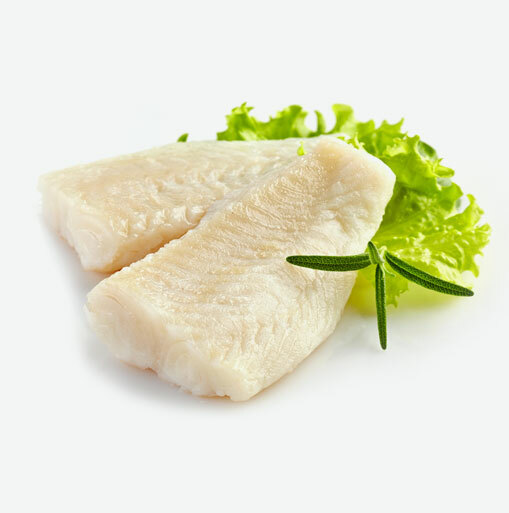 Cod is an excellent source of protein and selenium. It is also a very good source of vitamin B6 and phosphorus. In addition, cod is a good source of omega-3 fatty acids which is beneficial for heart disease, joints, and healthy brain function. Cod is a good source of vitamin B12, potassium, vitamin D and niacin, which are important nutrients for overall good health. Fish in general is highly perishable. Cod is best eaten fresh, so it is best to cook it the day it is purchased. If you are cooking it the next day, keep it at a temperature of 0°C to prevent bacteria from growing on the fish. When storing the cod, place it in an airtight container in the refrigerator. When you are at the fish counter, look for fish or cod that is surrounded with ice or at least make sure it is lying on a bed of ice. There shouldn’t be heaps of fish on top of each other. The fish should be placed in boxes on a slope so that any liquid can run free. When you bring your cod home, make sure to wash it under cold running water and then pat it dry with paper towel. Keep the cod refrigerated until you are ready to begin cooking it. Cod is a versatile fish so it can be boiled, grilled, steamed, baked, fried, deep-fried, smoked, pickled, stewed or poached and it can be served in a sandwich, pie, salad, fish cake, battered, breaded and much more—you can even enjoy cod for breakfast! Plan on cooking cod for about 7 minutes per inch of thickness for perfect doneness. This can vary some depending on the individual fish, and temperature of heat source. Why not try mixing cod and some chicken stock and then sauté with onions and garlic and your favourite vegetables and seasonings in a stockpot to make a delicious fish chowder. For an easy dish, try baking cod in the oven covered with fresh chopped herbs, such as chives, tarragon and a little fresh lemon juice and extra virgin olive oil.